Research suggests India is experiencing jobless growth and is failing to create secure, high-quality employment for its citizens. New Delhi: India’s ruling party, which promised to create 10 million jobs a year, looks a little nervous as it heads toward re-election. 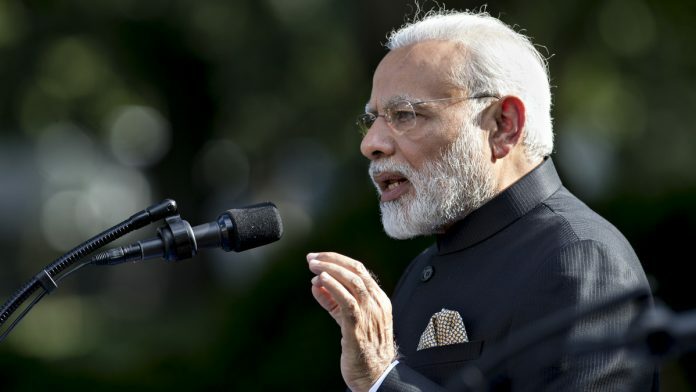 With national polls just months away, Prime Minister Narendra Modi’s administration is pledging to extend a 10 per cent quota for government jobs and higher education places to groups including upper caste Hindus, who form the backbone of his support base. The move, which requires a constitutional amendment, would extend a measure designed to correct historic discrimination among so-called lower castes to people who earn as much as $11,500 per year — roughly six times India’s per capita income of about $1,950. The announcement comes after a number of setbacks for Modi’s Bharatiya Janata Party ahead of the vote due by May. Stocks swung on Monday after the government estimated economic growth may be slower than forecast. While Modi’s administration claims payroll data shows the creation and formalization of millions of jobs, private sector research suggests India is experiencing jobless growth and failing to create secure, high-quality employment. His effort to promise state jobs is a clear sign Modi is nervous about the upcoming general election, analysts say. The new policy — which was approved late Tuesday in the lower house of parliament — grants benefits to communities long ignored by the opposition Congress party, which has ruled India for most of its independent history, BJP lawmaker and spokesman G.V.L. Narasimha Rao said. Modi’s government continues to create millions of new employment opportunities, he added. Still, the party has suffered numerous setbacks over the last month. The party lost three state elections to the opposition on Dec. 11, just one day after the country’s central bank governor unexpectedly resigned following a high-profile spat with the government. Things have continued to go badly. Two key regional parties decided over the weekend to unite against the BJP in Uttar Pradesh, a development that could significantly impact Modi’s performance in India’s most populous state. And on Tuesday, the Supreme Court overturned the federal government’s separate decision to remove the chief of the country’s top investigative agency before his term expired. Another factor generating anger among upper castes is the BJP’s support for measures requiring the immediate arrest of anyone accused under a law to prevent atrocities against lower caste and Dalits. As the election approaches, the ruling party has realized its longer-term economic reform efforts are not improving the lives of many poorer Indians, which could force it to look at measures beyond the new quotas, said Sonal Varma, chief India economist at Nomura Holdings Inc. in Singapore.